The need to contract the services of a locksmith company or professional locksmith may knock at the doors at any time. You will definitely need locksmith services when you lock yourself out of your car or home, when you lose your keys, when you need a new set of keys or when you want to simply replace your locks. These services are important because they impact your personal security as well as that of your property. You can get in touch with a local locksmith through referrals, a business directory, or the internet — but proceed with caution if you search “locksmith near me.” Finding a trustworthy locksmith can be a tricky process. If you have a preferred locksmith company or professional locksmith, you can write down their contact information and store it somewhere you can easily find when the need arises. When you are in need of locksmith services, you have the option of either hiring a professional locksmith or doing the work yourself. If you choose to perform the work yourself or decide to hire an unskilled locksmith, there are several challenges and risks that come with such a decision. The main risks include causing more damage and costly repairs on top of the initial work. Unscrupulous locksmiths are also likely to intimidate and mislead clients with wrong information or hike the price after doing the work. The main advantage of utilizing the services of a professional and experienced local locksmith starts with a guarantee that your work will be carried out in the right way and in a timely manner. Licensed, professional locksmiths can undertake complex projects, including lock and door frame alignment as well as duplicating and replacing keys because they are well-equipped with the necessary equipment and expertise. 1. Make inquiries – before you hire a locksmith or choose the first listing when you search “locksmith near me,” verify the business to make sure it is legitimate. You can do this by making inquiries through the telephone directory or your local business bureau. In addition, when you are talking to the dispatcher, be sure to get all the relevant details regarding the service. 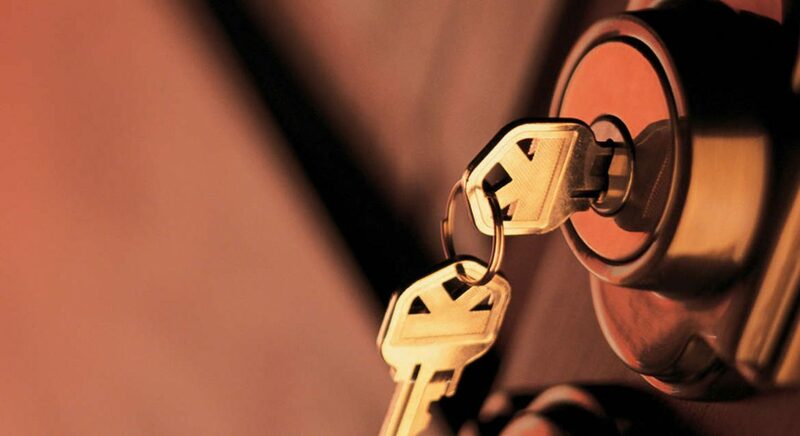 A good locksmith is one that is insured and boasts many years of experience. 2. Check online reviews – you can use the internet to do some research regarding the locksmith you want to hire. The internet also contains numerous reviews both negative and positive that you can read before making the final decision. 3. Check if the locksmith is charging a fair price – before you make this determination, you need to first establish what the fair price means. To do this, you can call several companies and ask what they are charging for the locksmith service you need — but be wary of any locksmith that offers a price far below all the others. That could be the signal you’re talking to a scam, not a real locksmith. 4. Technical experience – professional locksmiths possess relevant qualifications and experience that allows them to do their job with utmost diligence. Many professional locksmiths are also registered and certified through the Associated Locksmiths of America (ALOA). You can check the credentials of your locksmith through a local business bureau such as Better Business Bureau (BBB). 5. Choose a local locksmith – there are several benefits of choosing a local locksmith with a verifiable business address. The benefits include the capacity to establish a company’s legitimacy and the ability to conduct a follow-up. You will also save money because you will be dealing with a locksmith that is closer to you. 6. Stay on guard – once you have contracted a locksmith, ask for the technician’s license and photo ID as well as company identifiers like a logo-marked vehicle and a shirt or hat with the company logo. If you sense anything is out of place, stop the operation immediately and seek alternative measures. 7. Response time – a good and efficient locksmith will almost always show at your doorstep in good time. They will also grant you up-front pricing detail in the first opportunity, and not surprise you with up-charges after service is completed. 8. Call your auto insurance – if you are locked out of your car, you need to call your auto insurance company as soon as possible to check if the insurer offers unlocking services or to get a list of recommended locksmiths with whom your provider works. The other factors to consider when choosing a locksmith company include checking the range of services the locksmith provides and establishing whether the company provides emergency services. You can also request for a referral from family and friends. If you make a decision based on the referral, it is very important to take into consideration the locksmith’s quality of work, cost of service and response time.